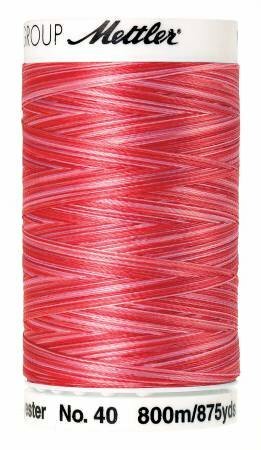 Strawberry Blitz colors of 40wt, 875yds, 100% Multifilament Trilobal Polyester embroidery thread. This thread allows you to show your true colors. The range of colors for POLY SHEEN MULTI® is hard to beat. The colors harmonize perfectly with the color palette of the single-color POLY SHEEN® for both embroidery and decorative sewing. Poly Sheen Multi can be used in every situation and is particularly well suited for use with highly stressed textiles. Excellent embroidery and stitching thread and decorative application stay totally colorfast when subject to harsh treatments, such as chlorine bleach, wet/dry abrasion, washing and ironing.. The thread can also be used with the latest high performance sewing and embroidery machines.